The divinely repeated principle here is that what Jehovah says goes. (Isaiah 55:8-11) “For the thoughts of you people are not my thoughts, nor are my ways your ways,” is the utterance of Jehovah. 9 “For as the heavens are higher than the earth, so my ways are higher than your ways, and my thoughts than your thoughts. 10 For just as the pouring rain descends, and the snow, from the heavens and does not return to that place, unless it actually saturates the earth and makes it produce and sprout, and seed is actually given to the sower and bread to the eater, 11 so my word that goes forth from my mouth will prove to be. It will not return to me without results, but it will certainly do that in which I have delighted, and it will have certain success in that for which I have sent it. (1 Corinthians 3:16-17) 16 Do you not know that you people are God’s temple… for the temple of God is holy, which temple you people are. (John 2:19-21) Jesus said to them: “Break down this temple, and in three days I will raise it up.” 20 Therefore the Jews said: “This temple was built in forty-six years, and will you raise it up in three days?” 21 But he was talking about the temple of his body. (1 Corinthians 6:19-20) Do you not know that the body of you people is the temple of the holy spirit within you, which you have from God? Also, you do not belong to yourselves, 20 for you were bought with a price. By all means, glorify God in the body of you people. (Ephesians 2:19-22) You are no longer strangers and alien residents, but you are fellow citizens of the holy ones and are members of the household of God, 20 and you have been built up upon the foundation of the apostles and prophets, while Christ Jesus himself is the foundation cornerstone. 21 In union with him the whole building, being harmoniously joined together, is growing into a holy temple for Jehovah. 22 In union with him you, too, are being built up together into a place for God to inhabit by spirit. Another principle is in Zechariah and Haggai as Jehovah’s “two prophets” raised up from external locations to be motivational supports and reminders to the leadership governing body of Jerusalem represented by the “two anointed ones” in Governor Zerubbabel and High Priest Joshua. Why did Jehovah purpose to raise up these prophets who were not integral to the divine administration of that time? (Zechariah 3:8) 8 “‘Hear, please, O Joshua the high priest, you and your companions who are sitting before you, for they are men serving as portents; for here I am bringing in my servant Sprout! (Revelation 11:3-4) And I will cause my two witnesses to prophesy a thousand two hundred and sixty days dressed in sackcloth.” 4 These are symbolized by the two olive trees and the two lampstands and are standing before the Lord of the earth. (Revelation 11:10) And those dwelling on the earth rejoice over them and enjoy themselves, and they will send gifts to one another, because these two prophets tormented those dwelling on the earth. 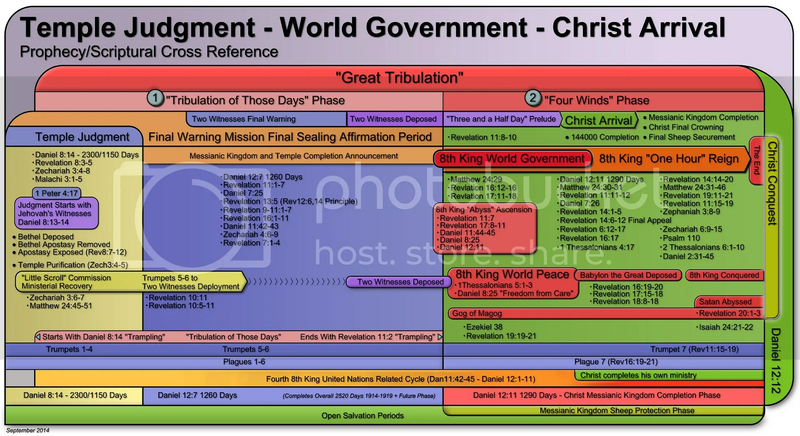 The point is the 144000 will complete as this temple BEFORE Armageddon final conquest “war of the great day of God the Almighty” and we as Jehovah’s witnesses can no longer waffle around another 40 years trying to figure that one out. 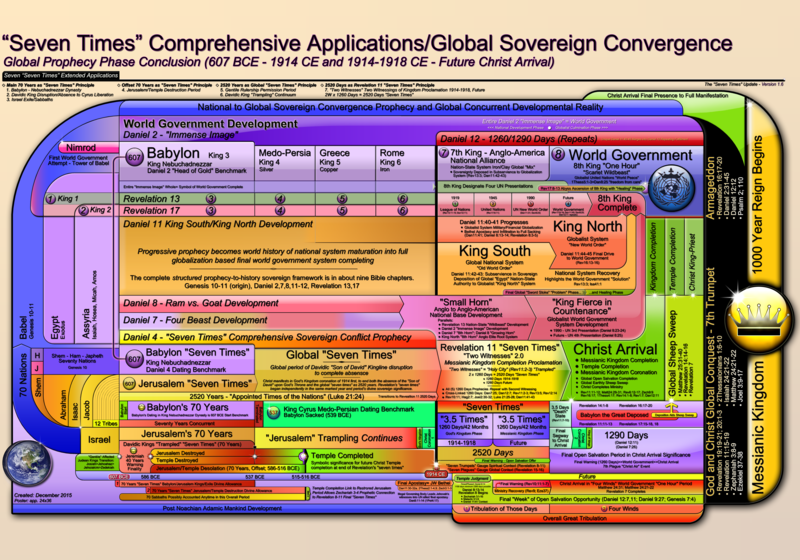 The “headstone” of Christ’s crowning total conquest of earth by Messianic Kingdom, Kingdom Temple, Kingdom City New Jerusalem and Kingdom Bride must be “set” by Jehovah into a complete structure, no, not 143,999 pillars, but 144000. COMPLETION! 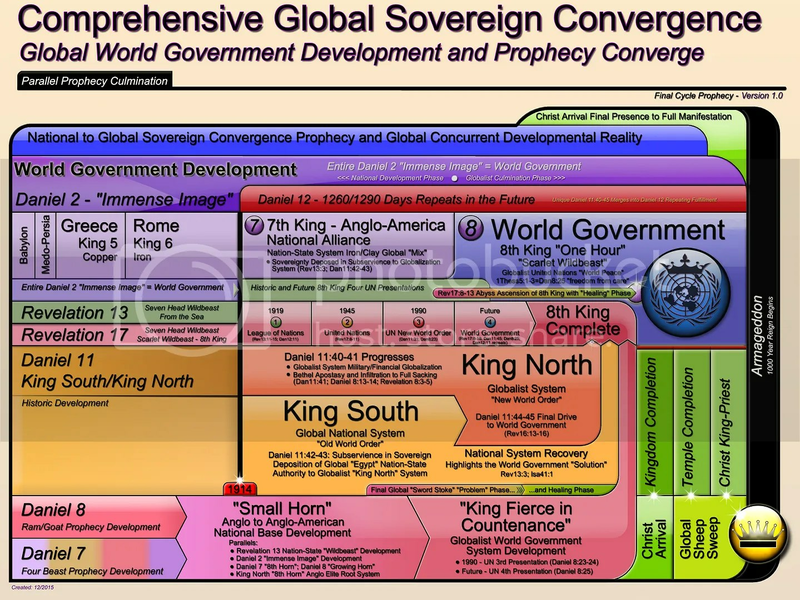 Christ is the “foundation” AND the “headstone” completion of the complete divine arrangement pictured in those four symbolic divine “bodies” of 144000 which are one reality soon to become permanently completed and placed over planet earth upon the dust of the mountainous “King of the North” at Mount Magedon War, the totality of God’s sovereign rivals and matured zenith defiance worldwide; (Rev19:19-21; Dan11:45). (Psalm 118:22) The stone that the builders rejected Has become the head of the corner. 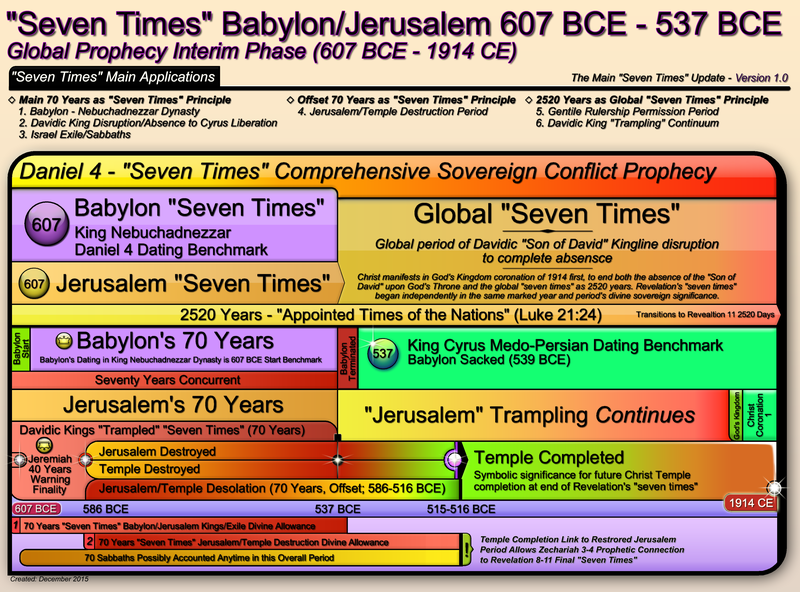 We have to keep in mind now, 1914-1918 was a MINOR fulfillment, what is coming is FINAL, and you can see Jehovah starting to “push” it, what is coming is the completion of the 1260 days a second, final time, 2520 days of the “trampling of the holy city” (Rev 11:2) prior to the REAL completion of Jehovah’s Temple and the complete conquest of earth and this universe. (Revelation 11:1-4) And a reed like a rod was given me as he said: “Get up and measure the temple sanctuary of God and the altar and those worshiping in it. 2 But as for the courtyard that is outside the temple sanctuary, cast it clear out and do not measure it, because it has been given to the nations, and they will trample the holy city underfoot for forty-two months. 3 And I will cause my two witnesses to prophesy a thousand two hundred and sixty days dressed in sackcloth.” 4 These are symbolized by the two olive trees and the two lampstands and are standing before the Lord of the earth.